For adjacent and successor bridge, see NO41NE 64. Non-Guardianship Sites Plan Collection, DC23865- DC23873, 1935 & 1937- 1938. (Location cited as NO 450 198). 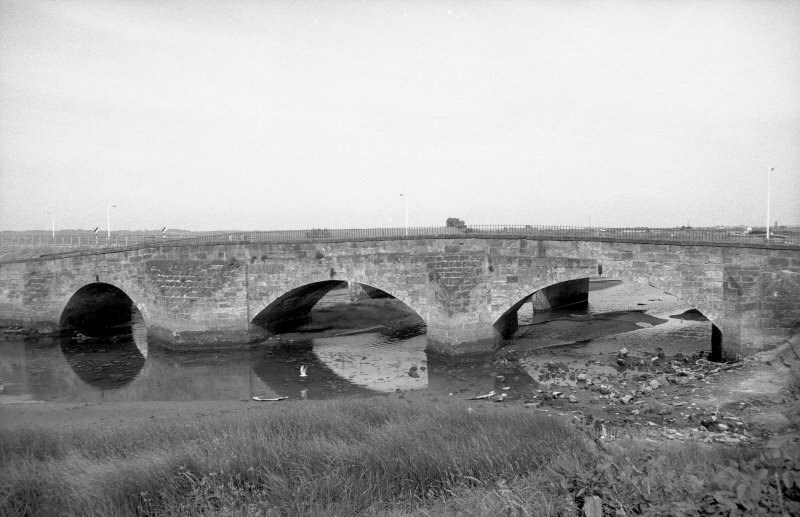 Inner Bridge, probably 18th century. 3-span bridge with 2 wide and 1 small segmental arches with massive triangular cutwaters. 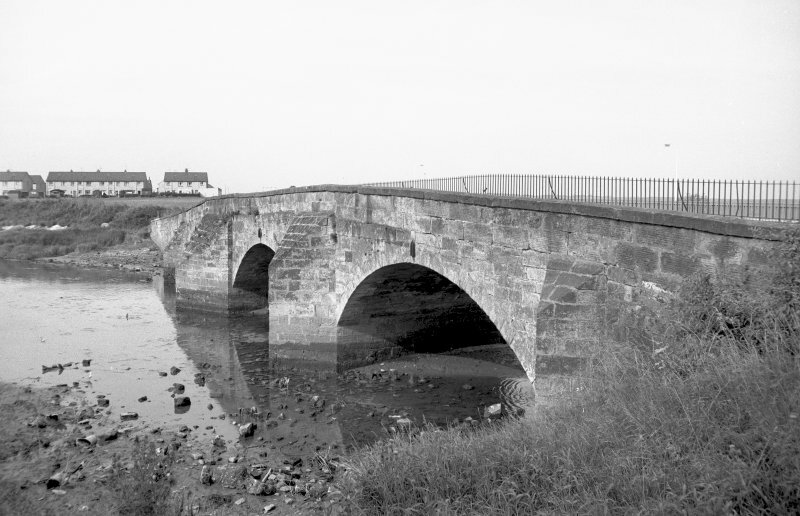 The Inner Bridge at Guardbridge carries the former line of the 'Fife coast' road over the Motray Water. Probably early 18th century, but the 'inner brig' was repaired in 1598. Information from RCAHMS (RJCM), 6 July 1998.